It’s best not to get into a long drive contest with Eric. Not only did he play golf in college, but he is also extremely competitive. It’s that competitive drive that convinced John Henry to hire him straight out of college and helped him become one of the youngest licensed CFPs in the country. 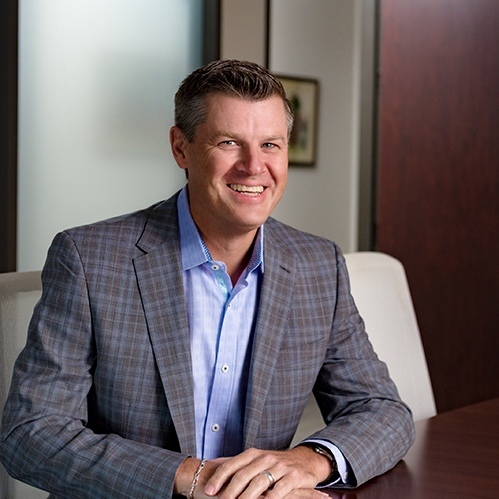 Under Eric’s leadership, Austin Asset has evolved to be one of the leading wealth management firms in the state of Texas. He is a progressive influence for the next generation of financial planners and is a respected thought leader for best management practices throughout the industry. Eric’s numerous speaking engagements encourage other next-generation leaders to pursue their professional growth; this experience of sharing his story fueled the fire to co-author the book Success and Succession, in which he outlines the complexities of leadership transition and strategies for its success. For this Austin native, there’s nothing he enjoys more than spending time with his wife and four children. Most weekends, you’ll find him cheering for one of them on the soccer field. My hot wheels cars—my boys played with them for years and will get to pass them on to their kids one day. What hidden talent do you possess? I love to design. After keeping an idea file for five years, I drew our dream home on ordinary graph paper and worked with an architect to make our dream a reality. Enjoy Today. Its even on my license plate.